In the context of Weightlifting / Squatting - I had long been suffering from chronic Quadricep tendon strains and tightness, that limited my mobility and squat depth, even with lengthy warm ups. and perfect form. 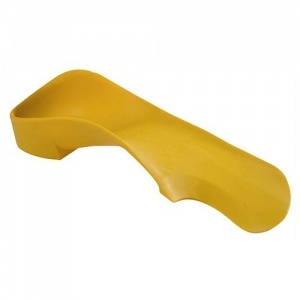 I remembered that a previous Physiotherapist had described this shape/ style of insole in general terms, as an appropriately aggressive structural intervention if needed - but I did not know they were available without first needing to pay for expensive custom fitting and moulding procedures. Even at first wearing of these soles, the kinetic chain from the soles of the feet through the knees to the hips, lined up correctly - and allowed the feet to transfer all power up from the floor, evenly through the knee joints, and activate the Quadriceps in an even and balanced way. From the 'warm up' before training, - right through to handling full weight in the squat to full depth, without pain, the effect was instantly noticable. Thank you for giving my back my ability to train my legs properly, after many, many months of other therapies and methods proving ineffectual.